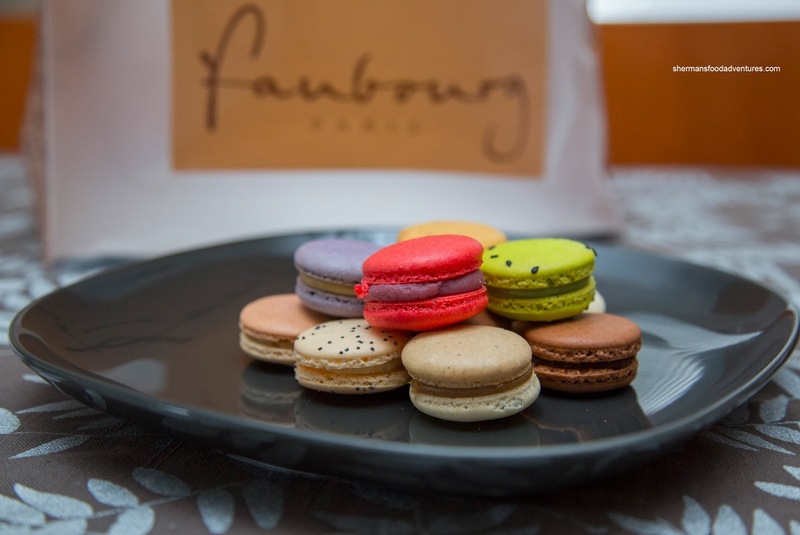 Ever since Faubourg opened a location in Downtown, I had planned to pay it a visit. Each and every time, I could not find a parking spot anywhere nearby. Besides, the price for parking alone would greatly decrease my purchasing power (2 less macarons... lol...). And for the times I met up with Whipping Girl, I had to leave before I could go. 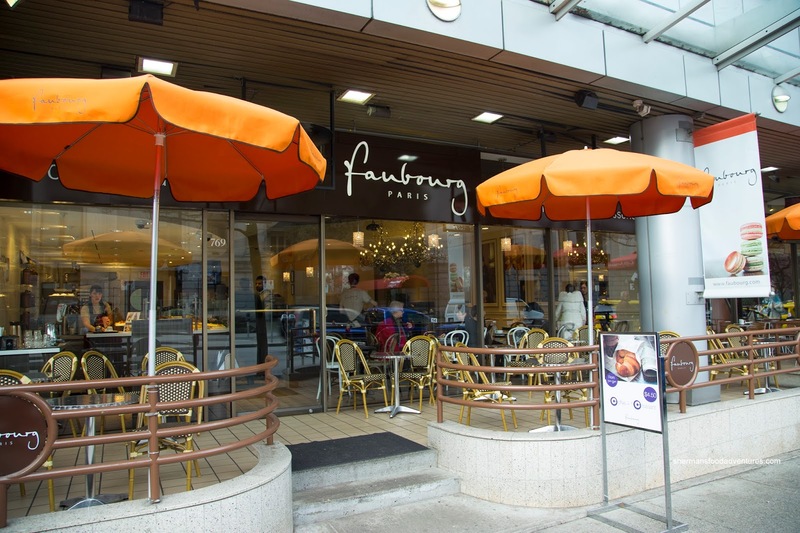 Much like the elusive Ogopogo, I was able to catch a glimpse of Faubourg, but it was beyond my reach. Finally, after a relatively light meal, I made it my mission to walk over for some goodies. I had to pick up some pastries for the kiddies as they would've started whining otherwise... A bit spoiled maybe? 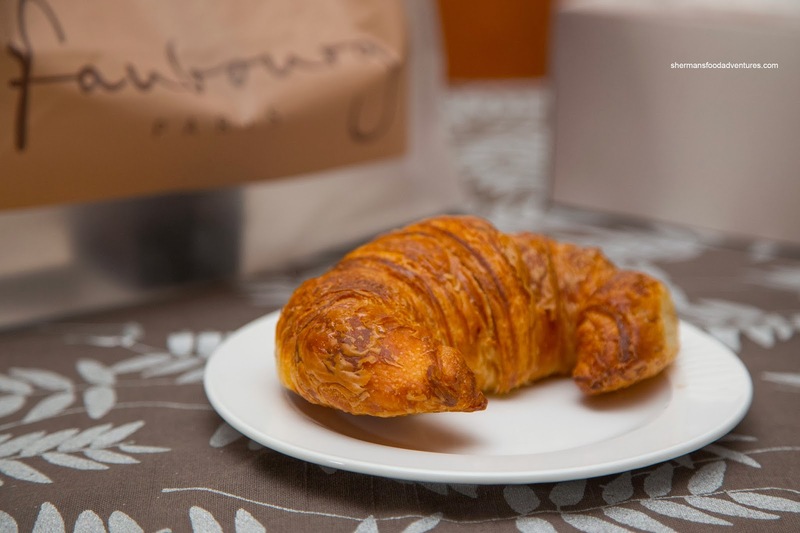 Anyways, the Croissant was okay, but not as good as the Kerrisdale location. The exterior was golden brown and crunchy. But the inside was a little dry and not buttery enough. 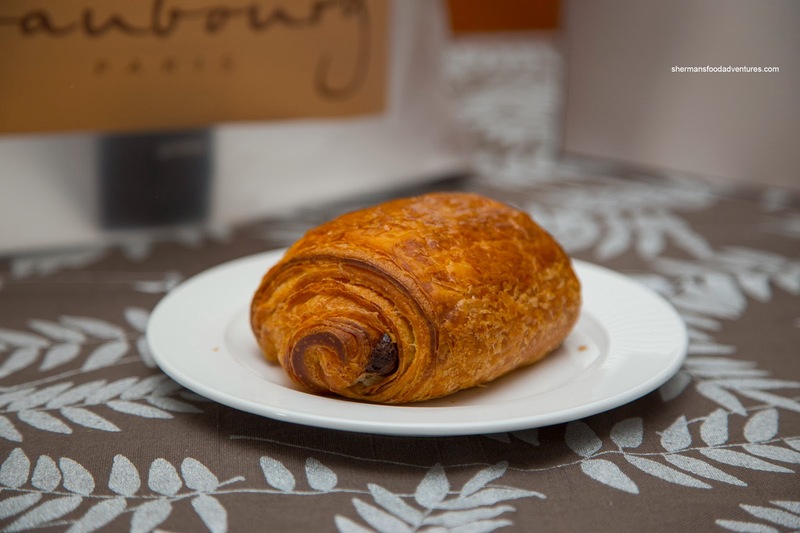 I also got a Pain au Chocolate which was similar. Naturally, the exterior was crispy like the croissant. Inside, it could've used more chocolate as it was quite sparse. I found it on the sweeter side, but there wasn't enough of it to make an impact. Of course, for my daughter, I had to get some Macarons. Comparatively-speaking, I would say that Soirette still reigns supreme in Vancouver, but the ones at Faubourg are passable. Beyond the crisp exterior, the rest of the macaron was quite dry. I found that they were not super sweet nor artificial-tasting, but the flavour was lacking. 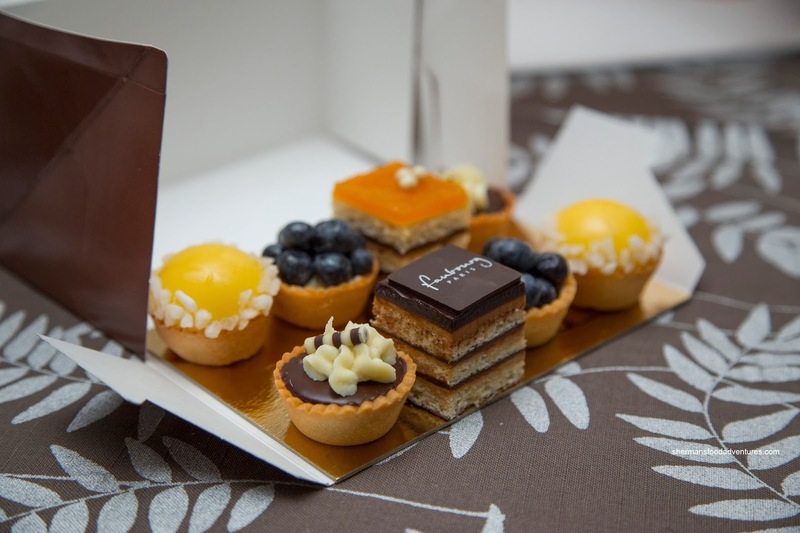 Lastly, I got a box of their Mini Pastries (which were the same ones I had at the afternoon tea at their Kerrisdale location). They included Lemon Tarts, Blueberry Tarts, Opera Cake and Chocolate Tart. I found these to be on par with the other location. I particularly liked the lemon tart as the curd was semi-sweet and tart while the shell was firm. Ultimately, not much surprise here as everything looked and ate much like I had expected - fairly solid without much fanfare.